a street-glam style guide for the modern woman. 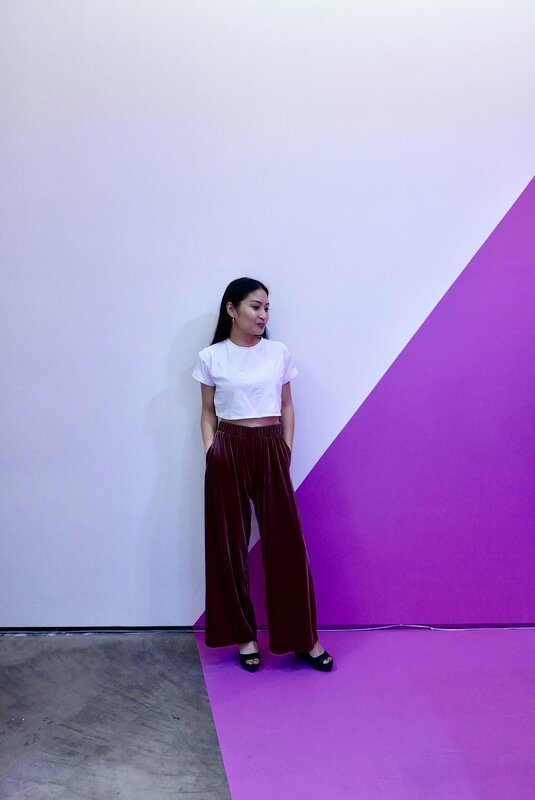 I love a good comfy pair of pants - and these wide leg slacks from uniqlo are amazing. They feel great and are the perfect balance of statement & simplicity. I love playing with texture & length. Here are a few tips for achieving this look. 1. be mindful of proportions - If you wanna go with a wider leg, the options are endless. Go for an overall baggy look and choose an oversized tee, throw on a form fitting bodysuit, or go for a fitted crop. Whatever you choose be selective about fit so dramatic lengths look intentional and not sloppy. 1. Let texture be your statement - for this look I wanted the velvet fabric to speak for itself. Velvet is already plush & luxe so I opted for a basic cropped tee in white to keep it casual and not distract. 3. Less is more - simple jewelry, chunky black wedges to show off the length of the pant and nothing more. Choose accessories which compliment and won’t takeaway. You want the focal point to be the pants themselves so choose your top and accessories around them. Keep up with me. Get style tips, updates, and more!